It's been too long since my last entry, and the fantastic spring we're having around Driggs, Idaho is partly to blame. It's so nice to be enjoying sunny, warm days in April & May; seems to happen only a couple of times each decade. High country snow is melting already, creeks are swelling, and the sky is impossibly blue. This didn't happen until July last year. 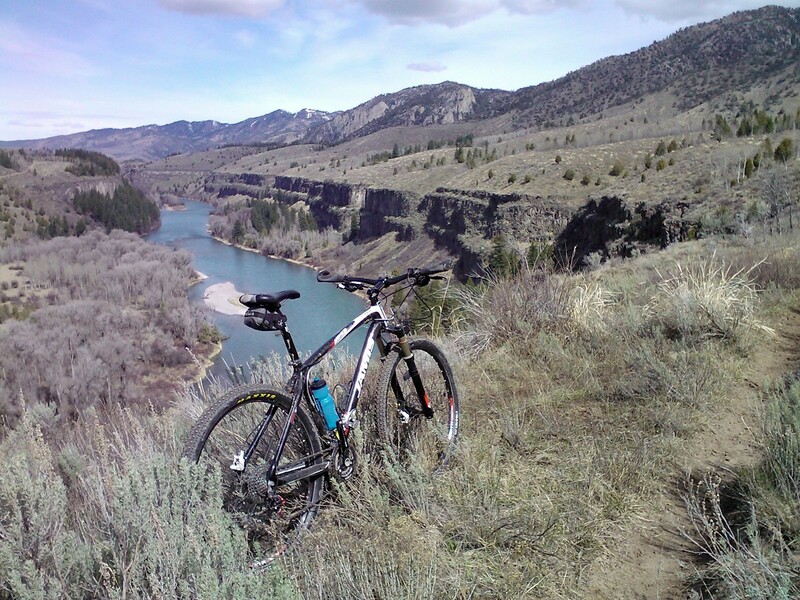 I took this photo on April 15, riding the nearby South Fork of the Snake River bench trail. Last year it was June before it was snow-free and dry. Big difference, and certainly makes summer seem longer around here. Back in early April, I spent a weekend around Salt Lake City and did a couple of great rides with friends. I'm celebrating with my buddy Branden here, at the top of Big Mountain. 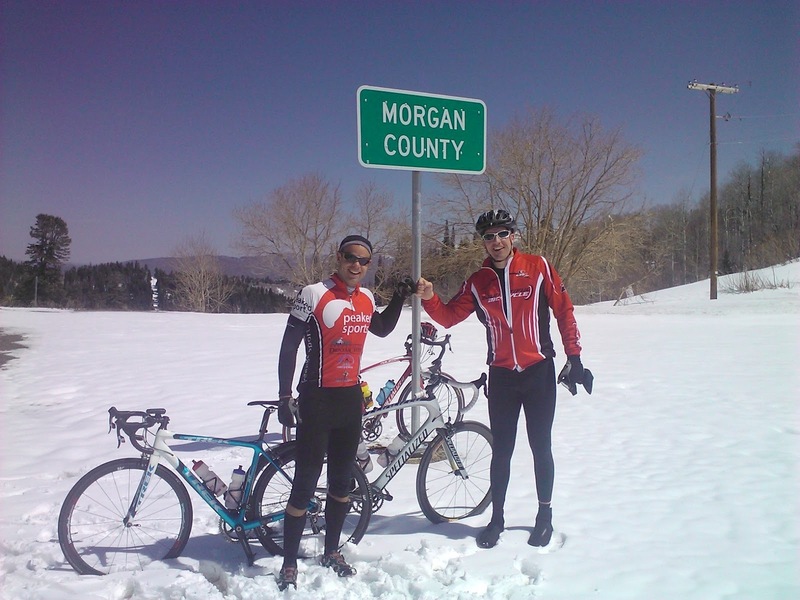 It had snowed a couple of days before, so the final few miles involved crossing snowfields while climbing a 6-8% grade on skinny road bike tires. 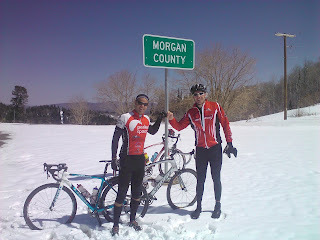 It was like a combination of snow biking, snowmobiling, and road biking. Epic. 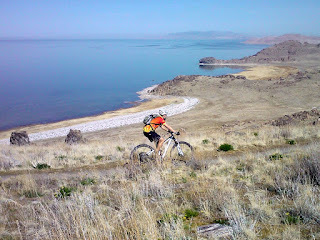 The next day I went mountain biking out on Antelope Island with my supa-fast friend Eric. In all my years, I had never ridden out there...and I was missing out. The island is loaded with meandering singletrack, which alternately flows and challenges your technical skills. Buffalo roam, the lake glistens, and grins stretch ear to ear. 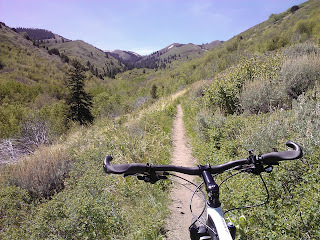 Work has taken me to the Pocatello, Idaho area a couple of times, and I love their local singletrack. 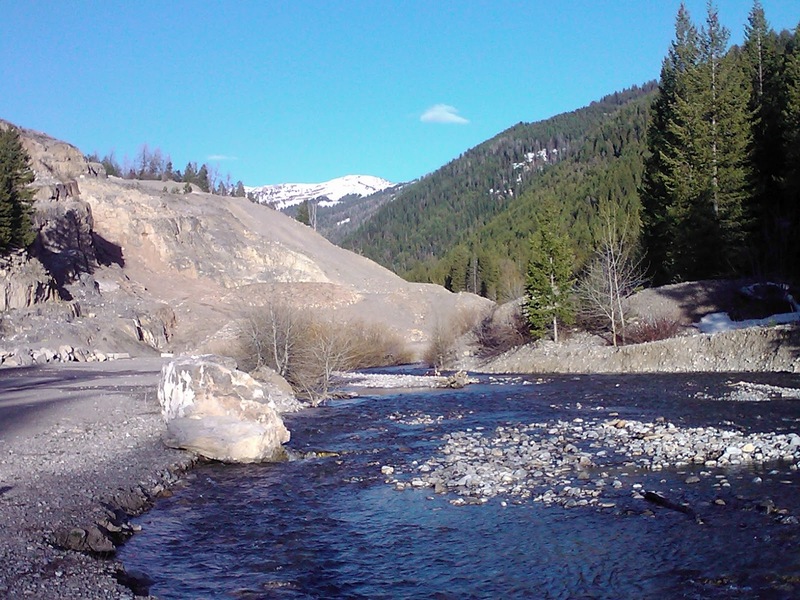 The City Creek area has a terrific network of trails, and spring is an ideal time to take it all in. 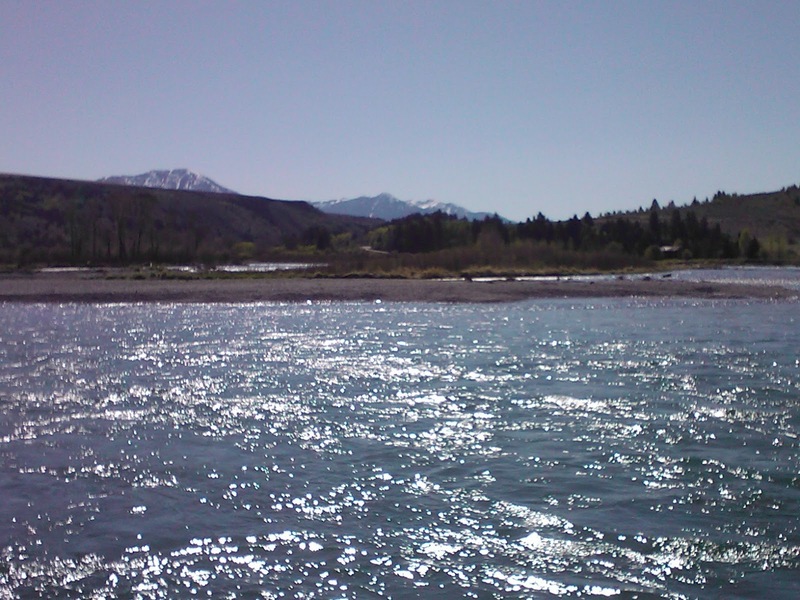 Meanwhile, near the Conant boat ramp in Swan Valley, the South Fork of the Snake River is high but manageable. 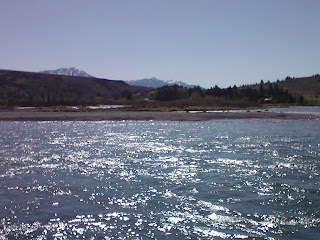 Drift boat fly fishing has begun in earnest, and should only get better in the coming weeks as the water clears up. 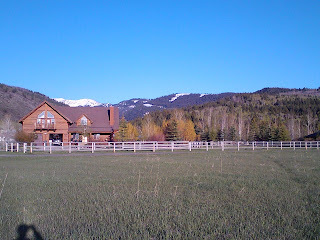 In an effort to step up my early season climbing, I did a weekend ride down in Star Valley, Wyoming. It included the iconic Salt River Pass, one of my all time favorites. Come August, it's the site of our annual "King of the Hill" contest during the CASVAR Century. 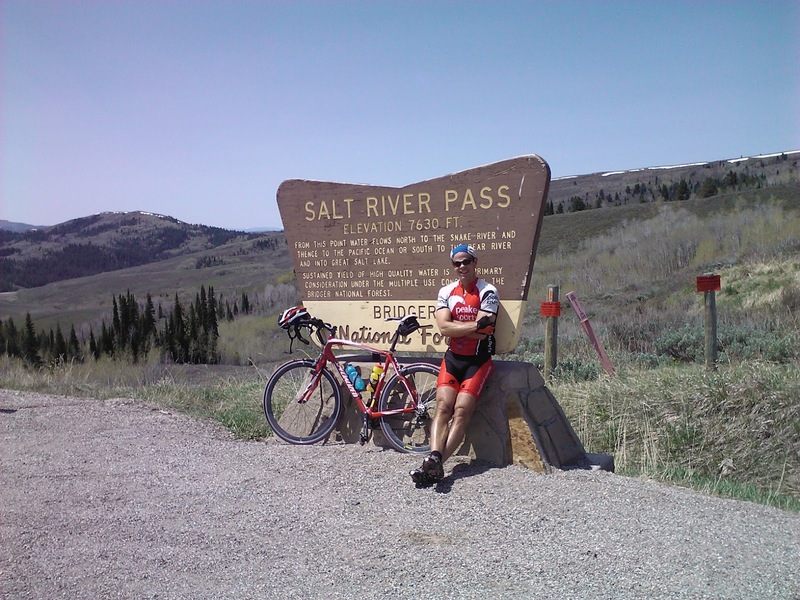 And in September, it's the high point of LOTOJA, the 206-mile race from Logan, Utah to Jackson Hole, Wyoming. For now, I just enjoyed the beautiful day in a great place. 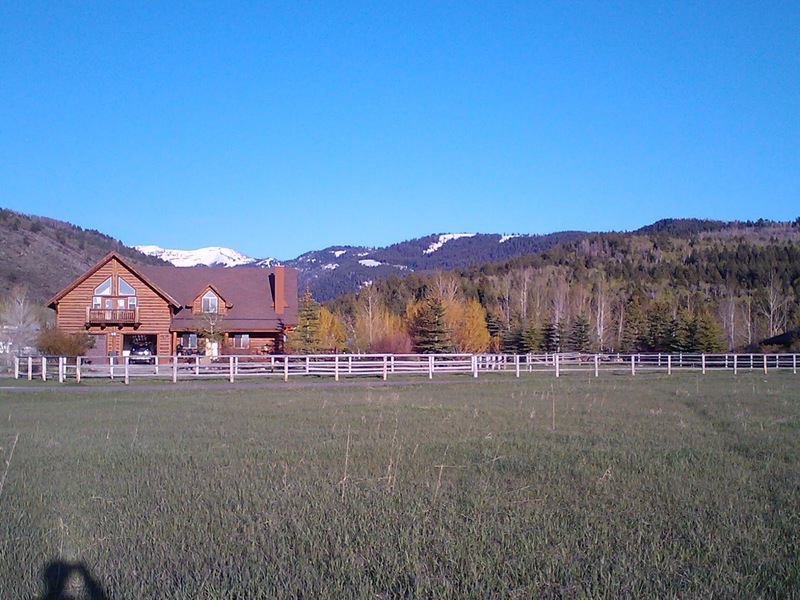 Back home in Teton Valley, Idaho, the evenings have been breathtaking. Area golf courses opened in late April, trails are snow-free up to the 8,000 foot level, and we're all getting after it. There's nothing like summer in paradise, and it definitely arrived early this year. See you out there!